ISLAMABAD: Federal Board of Revenue (FBR) has issued new valuations of immovable properties in Rawalpindi for determination of income tax on transactions of buying and selling. The FBR issued new valuation table for 28 areas of the city including areas of Satellite Town, Chandni Chowk, College Road, Talagang Road, Wah Cantt, West Ridge, Murree Road, DHA, Bahria Town etc. The FBR increased the valuation of these areas by 20 percent for determination of income withholding tax. To implement the new valuation of immovable properties the FBR issued SRO 126(I)/2019 for Rawalpindi. Previously, the revenue body issued SRO 671(I)/2016 on August 02, 2016. The valuation has been set to enhance the properties values to bring at the level of open market. The District Collector (DC) rates are far bellow than the rate prescribed by the FBR and the open market. The purpose of the valuation is to minimize the circulation of black money and bring more money into tax net. Investors stay out from market till 2020-21. Thankyou IM khan. 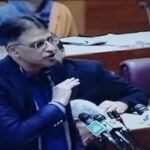 Buhut market kharab karldi aam admi k lia haraam ka paisa daal daal kar kalay dhan walon nay.